Hi! This is Roy. 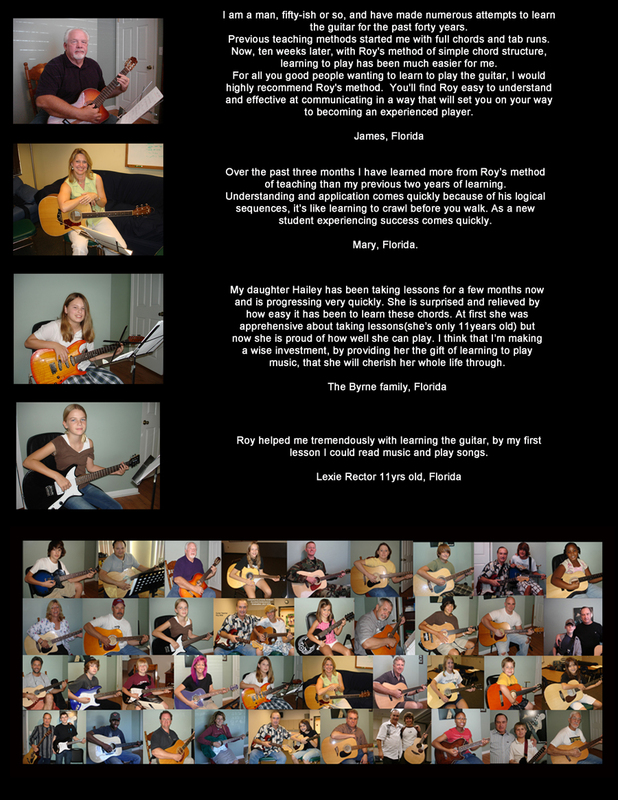 God has given me a unique method for teaching the guitar, this method has taken many years to develop and is a proven success. Beginners, you will love this method because it is easy on the fingers and easy on the mind. 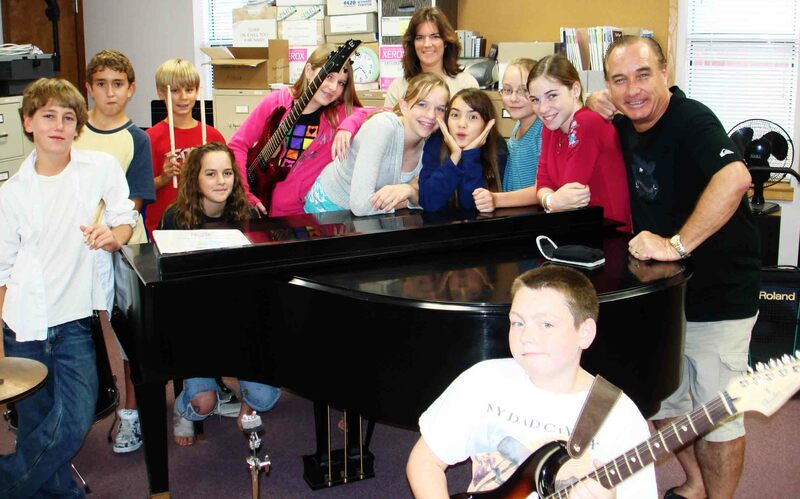 Students at every age level develop very quickly with my unique teaching process. 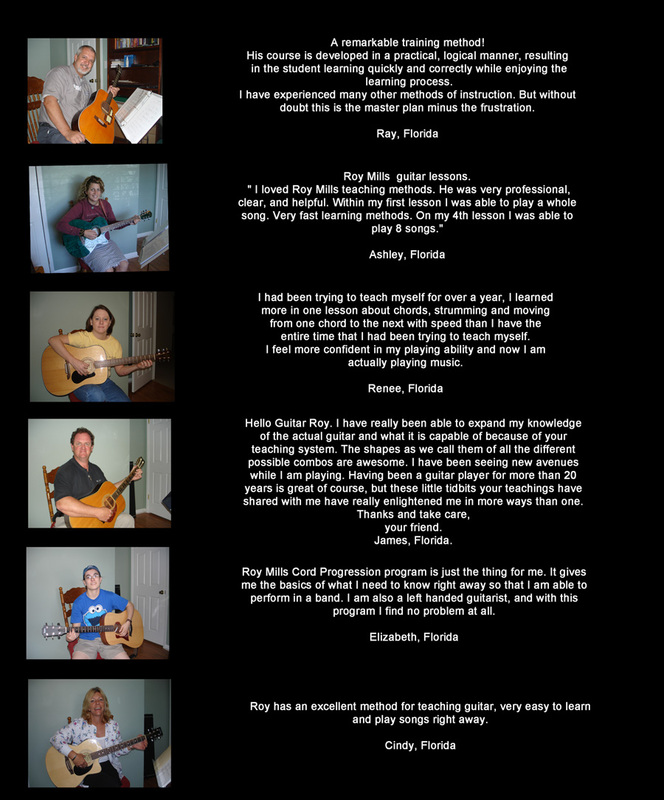 Those interested in praise and worship from the guitar aspect are thrust forward very quickly into church activity, whilst still attending their guitar lessons. Stage 1. JAMING ABILITY (having fun with others) The ability to jam with others through the quick development process. Stage 2. ACCOMPANYMENT GUITAR (still having fun) The ability to compliment the music of others with (3) position playing.